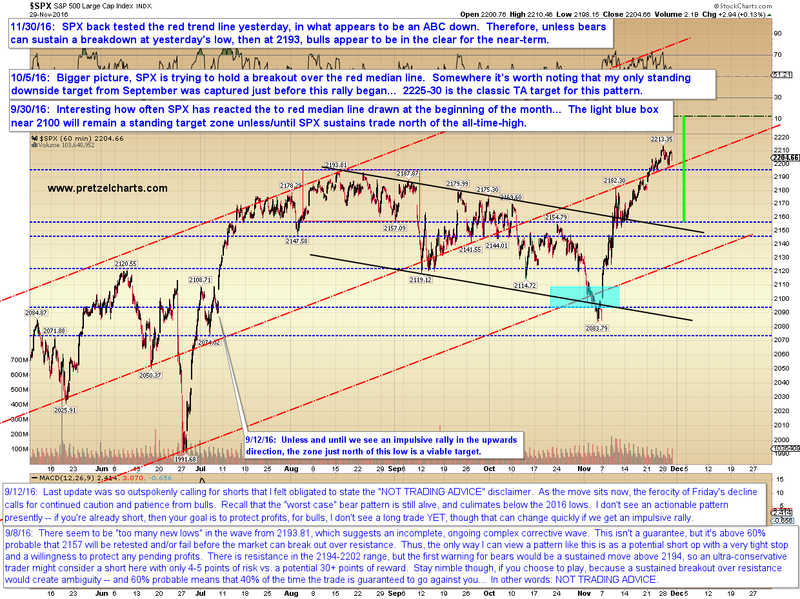 Pretzel Logic's Market Charts and Analysis: SPX and RUT: "Dogs and Cats Living Together... Mass Hysteria!" SPX and RUT: "Dogs and Cats Living Together... Mass Hysteria!" 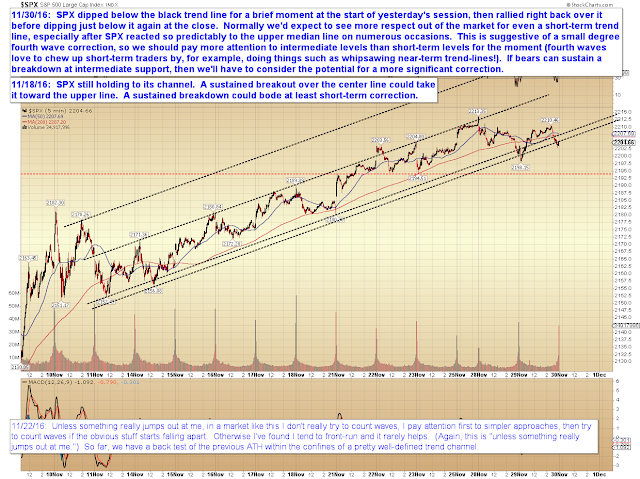 The last couple session saw SPX plummet in an uncontrollable free-fall, ultimately dropping a total of more than 8 entire points on a closing basis. Panic set in briefly at the Fed, and Janet Yellen called a secret emergency meeting to brief Board members on what the color "red" meant. My sources tell me that she assured them it was only temporary, and was able to stave off the very real potential of mass suicide. In conclusion, the immediate levels bears need are at least clear. 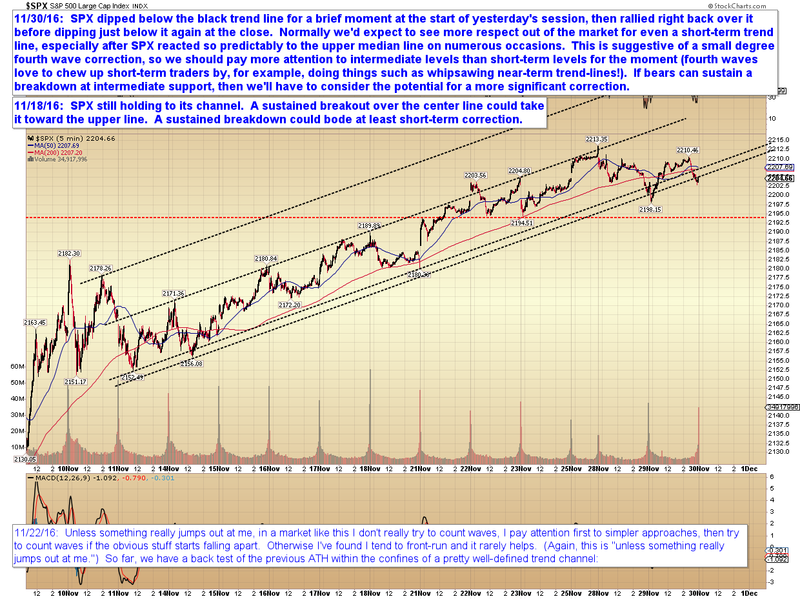 Those levels don't guarantee the correction will get much bigger, but they at least create the opportunity for a bigger correction, so they're certainly worth paying attention to, and can act as "complacency checkpoints" for bulls (as in, "check your complacency at the door below these levels"). 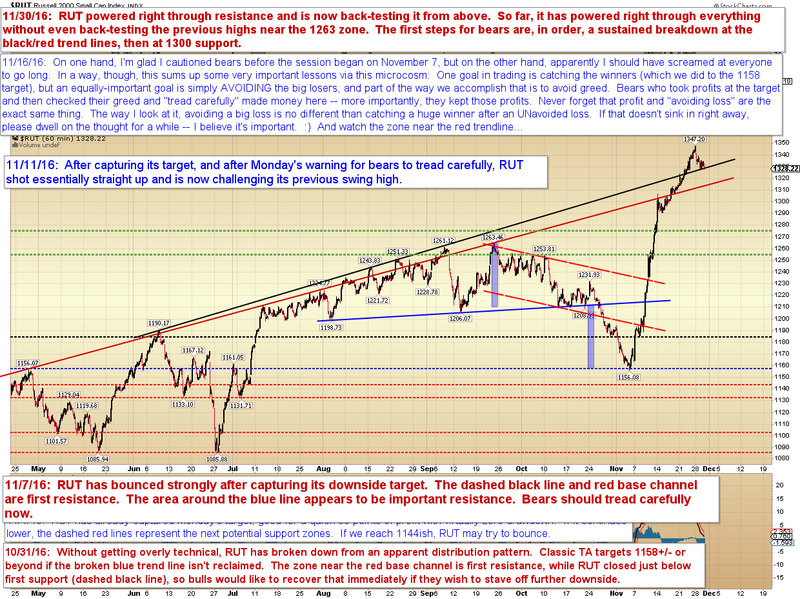 Presently, though, all we have is normal back-tests of previous resistance -- and so far they have acted as support. Trade safe.